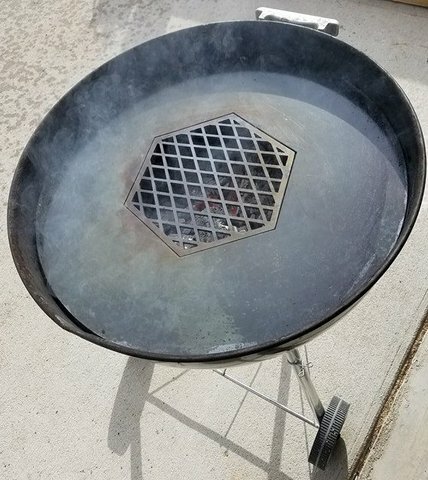 Seasoned the Griddle Grate one evening last week. Last night after work my wife and I had a chance to try it out on the kettle with the Vortex for patty melts. Sautéed the onions, cooked the burger patties and grilled the patty melt perfectly. Really going to like this accessory, my mind is flooding with ideas for new kettle cooks! Nice looking cook. 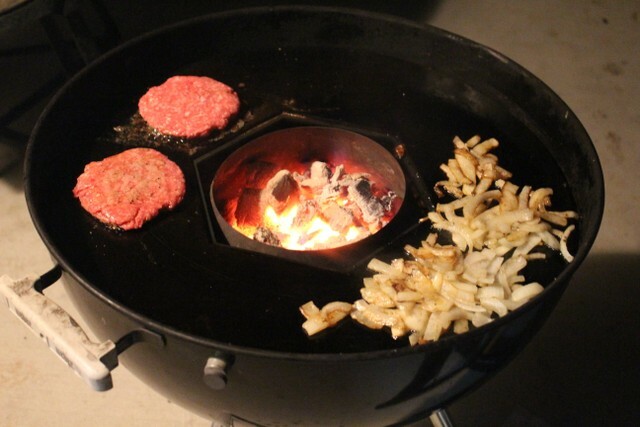 The griddle looks like a nice addition to the kettle.